Brother and Singer are two of the major sewing machine manufactures. They produce anything from simple, beginner machines to complex embroidery machines. Brother se400 and Singer 9960. We’ve looked at four categories to provide you with great information and an overall product recommendation. The four categories are: built-in stitches, overall product dimensions, included items and additional features. The Brother se400 features 67 built-in stitches. These stitches include utility stitches, quilting stitches, decorative stitches and heirloom stitches. It also features 70 built-in embroidery designs. This includes 5 embroidery fonts and 120 frame pattern combo. 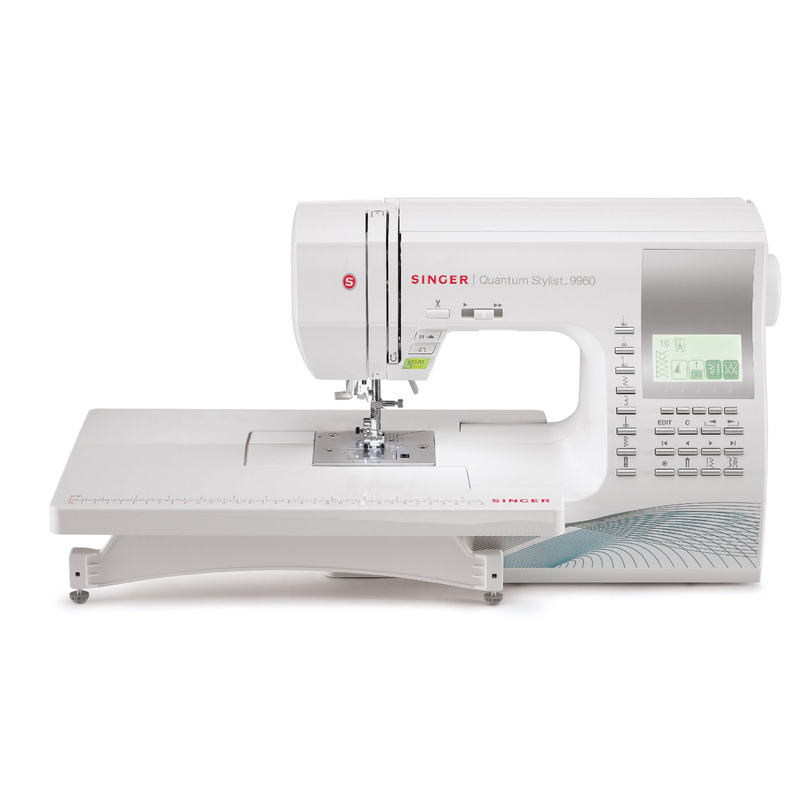 The Singer 9960 has 600 built-in stitches. These stitches include basic stitches, decorative stitches, stretch stitches and 13 automatic one-step buttonholes. The overall product dimensions for the Brother se400 are 10.94” x 6.89” x 15.55”. The overall weight is set at 13.7 lbs. The overall product dimensions for the Singer 9960 are 17.2” x 8.2” x 12”. The overall weight is20 lbs. Both the Brother se400 and the Singer 9960 feature a large amount of included feet and accessories. 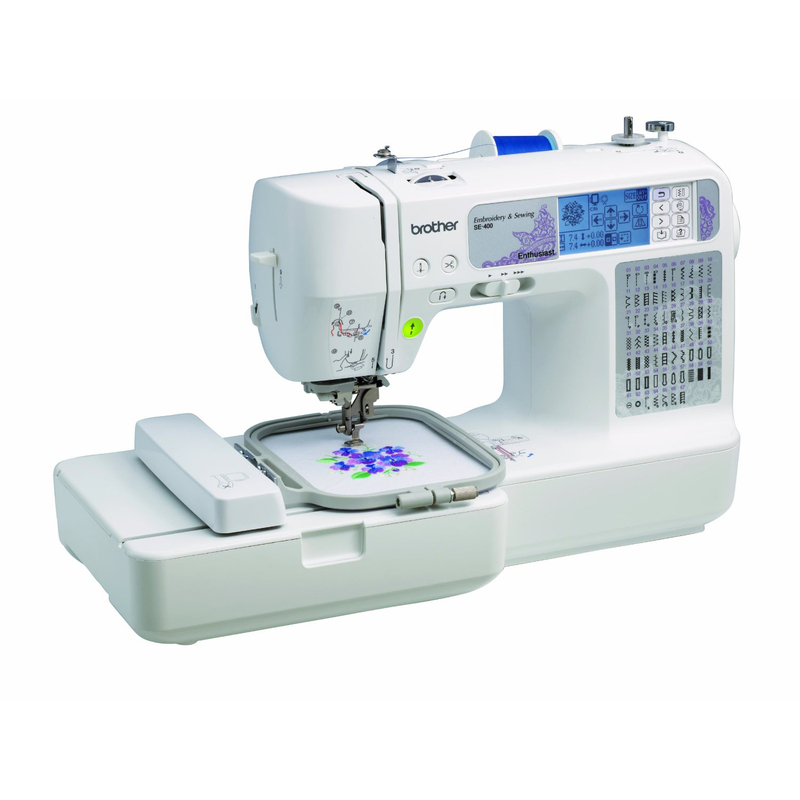 The additional features for the Brother se400 include a large 4” x 4” embroidery area, design edits, automatic needle threader, quick-set drop-in bobbin and is capable of computer connectivity. The additional features for the Singer 9960 include a buttonhole under plate, auto thread cutter, extension table, heavy duty frame and a back-lit LCD screen with brightness control. The overall product recommendation goes to the Singer 9960. It features a significantly higher amount of built-in stitches and a larger amount of included feet. In addition, the back-lit LCD screen with the brightness control makes it easy to navigate the stitches and machine controls. CLICK HERE TO GET SINGER 9960 TODAY WITH FREE SHIPPING! The one item that is preferred on the Brother se400 is that is able to connect to a computer.